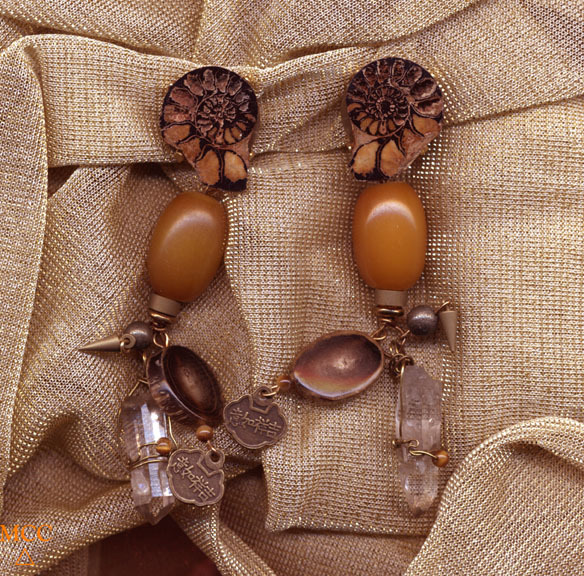 Bimini Clips are hand made in our studios with *so* richly flattering natural spice colors. We've paired matched, wirewrapped Arkansas natural rock crystals with ammonite fossils, copal [young amber], pyrite, naturally shed horn and tiger's eye beads. Findings are goldfilled clips, handmade golden glass discs, bronzed Chinese fan coins, and brass. They are a dramatic 3-3/4" from the shell shaped clip tops, yet comfortable on your ears and wonderful next to your face. 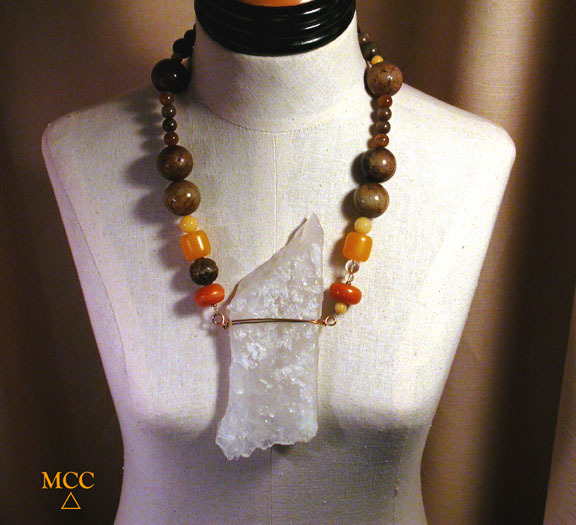 Perfect with our WOW necklace, shown in the inset photo!